If you have an operating food business and you are not catering, you may be leaving a lot of money on the table. For the last number of years, you have spent a considerable amount of time and energy building your retail clientele. Most likely, you have been successful at delivering a consistent and predictable experience. Finally, you have nailed down the service, quality and experience equation. Hopefully, your retail customers are coming often and you are building equity in your brand as well as your products. So where is your next growth opportunity? The traditional model of growing a retail food business is to duplicate the retail experience by opening a facility in another market. While this can certainly be a good strategy, I would like to bring your attention to a hidden growth opportunity within your existing four walls. As the manager of your foodservice operation, you must always look for growth opportunities. The opportunity to spin off a catering business from your existing food business is fairly straightforward. By focusing on the catering opportunity, not only are you offering additional services to your existing clients, you will be gaining new clients that may not even consider coming into your store. Use Your Existing Facility  Its Efficient! Would you agree that generating additional sales out of your current facility leads to a more efficient use of your current assets? The key word here is current. Following the traditional model of growth requires far more risk than simply letting your customers know that you are happy to bring your experience to them, as is the case with catering. If you look at your food business as a manufacturing facility, it is likely that your plant is underutilized. Your current revenues are probably all geared around specific meal times. It is unlikely that you have an even revenue stream throughout the day. If you are like most restaurants you have gaps that you would like to fill in. Catering can help. To survive as a caterer, most of your business will be corporate. As a result, your selling process is business to business. It is true that your retail customer will also want to order catering; however, your survival will depend on the relationships you develop with the administrative assistants in the corporate world. There are five basic segments within the corporate market. They include morning service, lunch service, dinner service, cocktail parties and full-on events. 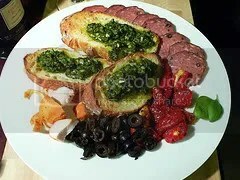 My recommendation as a new caterer is to focus on the first four, which are easier to execute and the most profitable. The next step is to get the business. Use your restaurant as a billboard  put up posters, give out fliers, talk up the catering with your clients. Most importantly, do a great job, and encourage your satisfied customers to spread the word. Youre Not Just a Restaurant That Delivers! Catering is very different from restaurant take-out and delivery because the needs driving demand for each of these services is different. Typically the demand for catering is driven by some type of get together. One person has been chosen to arrange food for the activity, and one person or organization will pay for the service. In the case of take-out or delivery, the demand is driven from the individual perspective. For example, my friends are coming over to watch the hockey game so we order a couple of pizzas for delivery. 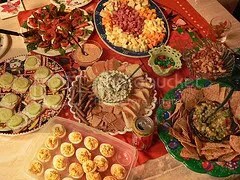 For this event to be defined as catering, I would bring the experience up a notch by adding a salad, beverages and dessert. Catering can be an effective and profitable way to leverage your existing location, staff and menu. But to do both well requires understanding each side of the business and making sure that you do not ignore one while dabbling at the other. MonkeyMedia Software facilitates the implementation of it’s web-based software products in Bakeries, Commissaries, Full Service Caterers and Multi-Unit operators with a catering division.